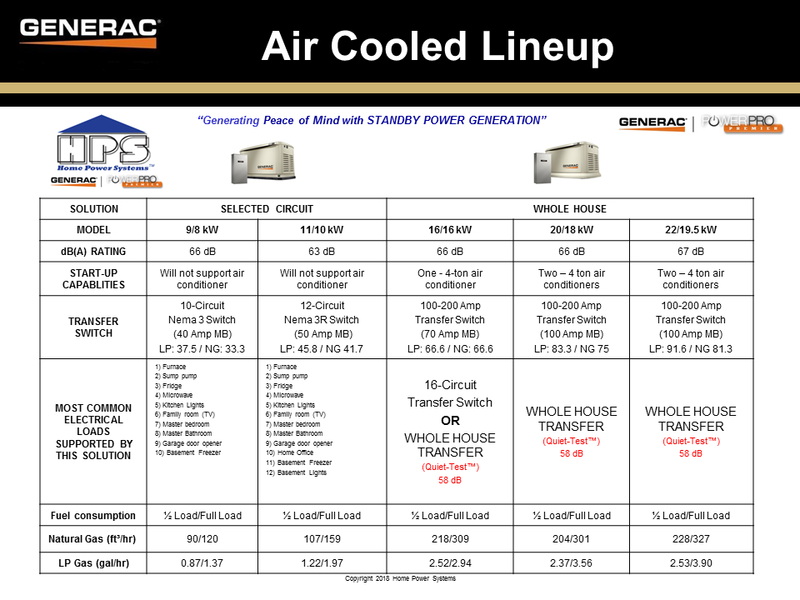 See how Generac Air-Cooled generators compare with each other. This summary is great for chosing the correct size generator for your house or business. Curious about our installation process for your new whole house generator? This page will show you, through pictures, what we do. Even if you know the cost of your generator you will need to know what it will cost you to have it properly installed. This page will help you get the TOTAL estimated cost of purchasing a generator. 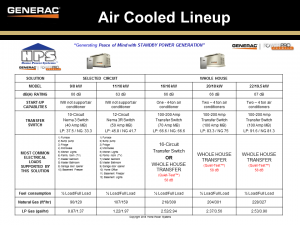 Did you know that you can install your new air-cooled Generac standby generator as close as 18” in most areas? Home Power Systems offers the unique ability to perform every aspect of an installation without subcontracting any of work. Whether it’s getting a permit from the town, transportation of the generator, or the physical installation it’s all done in house. Proper generator maintenance is crucial to your generators longevity. We provide a thorough inspection and maintenance of your generator yearly and sit down with you to explain what work we performed. Watch our video on “My Home Town” about proper stand-by generator installation.